It is hard to imagine a better way to experience the natural beauty of the Canadian Rockies than from a train. 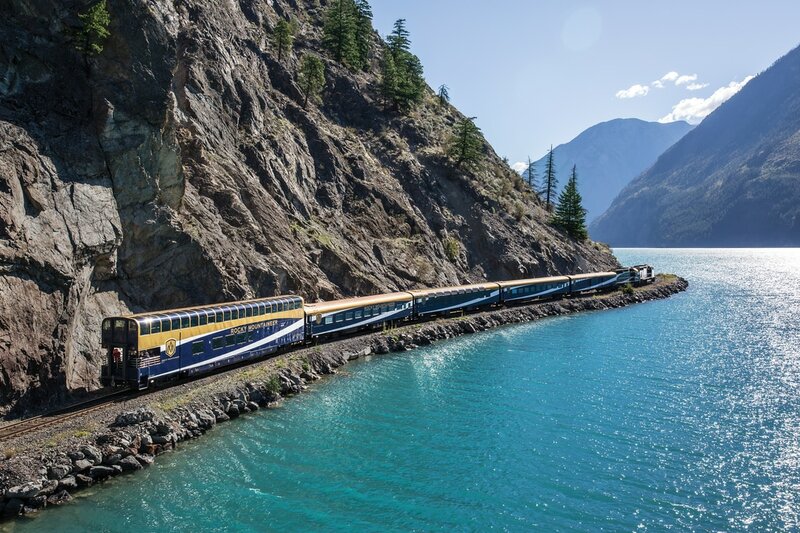 You don’t have to imagine it, take a trip on the Rocky Mountaineer. Whether you choose to head east from Seattle or Vancouver into the Rockies visiting famous railroad stops such as Lake Louise and Banff, or join the train for the trip back west, you are certain to enjoy some of the most spectacular scenery in the world. Videos of Rocky Mountaineer Routes.